Extreame Savings! 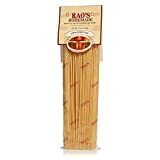 Up to 44% off on Pasta at Smokey Robinson Foods. 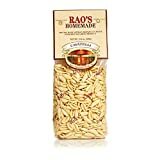 Top brands include Mueller's, Reese, Rao's Specialty Foods, Anna Home Collection, Eden, Food Directions Inc. (C), Mantova, Mayacamas, Trader Joe's, Food For Life, Vana Life Foods, Lp, Raos Specialty Food, Misko, Manischewitz, Casa manca, Rao's Homemade, Food with Purpose, & Jovial. Hurry! Limited time offers. Offers valid only while supplies last. Anna - Italian Capellini (Angel Hair) Pasta No. 9, (6)- 16 oz. Pkgs. View more products in Pasta & Noodles.